It’s no secret that Windows 8 hasn’t exactly been a resounding success. So what’s the best way to fix a failed OS? Start over. That’s what Paul Thurott, a Windows news maven, believes will happen in April of 2015 with the release of Windows 9. Thurott believes that Microsoft’s Build 2014 developer conference will see the announcement of Windows 9 this April, with the release of the OS set for the following year. 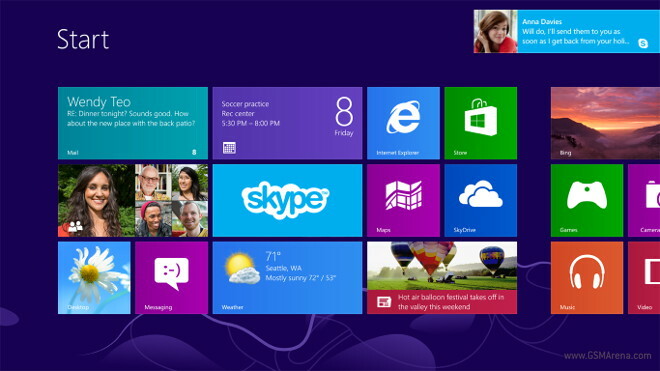 Windows 8 came under a lot of fire for its wild redesign. The Start menu’s absence being the most notorious omission from Microsoft’s new OS. Well the beloved Start menu should be making a comeback in Windows 9, and it’s rumored that it may return even as early as the Windows 8.1 update. Live tiles haven’t really caught on either, however, there’s a reported “Metro 2.0″ feature that will be added to Windows 9, along with improvements to the MS app world. Not much is known about the plans for Windows 9 at Build 2014, but there will be three alleged major selling points of the new OS. It’s in Microsoft’s best interest to garner some anticipation for Windows 9, as they’re losing out more and more in the personal computing market to Apple. We’ll keep you updated on any Windows 9 updates so stay tuned.